Creative Green centerpieces designed by Myoka Komori delight and impress with charming beauty and elegant simplicity. Human imagination knows no boundaries. 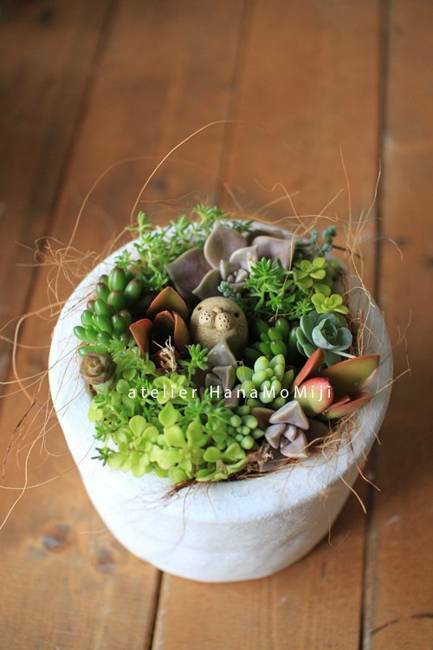 Lushome presents these gorgeous and eco friendly centerpiece ideas to give inspirations for table decorating with lovely succulents. Centerpiece ideas created with succulents can turn your ordinary pots, lacking interest bowls or old vases into fabulous table decorations and unique landscaping accents in eco style. Landscaping designer Myoka Komori creates charming miniature sculptures and installations with succulents that are inspiring and attractive. Succulents are great for home decorating. They create pretty centerpieces that can decorate rooms, balconies and backyards, and make very unique eco gifts for holidays and special events. 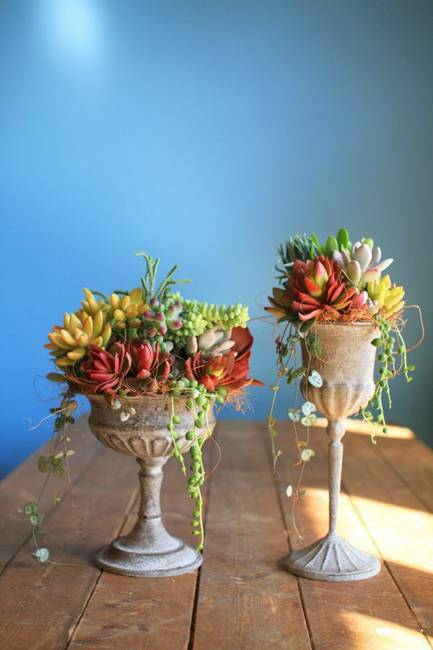 Succulents are great wedding centerpiece ideas and small landscaping ideas. 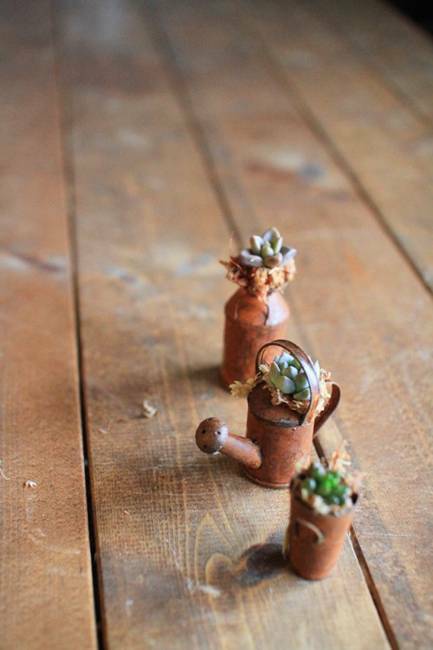 These small plants bring fun and delight with miniature arrangements. 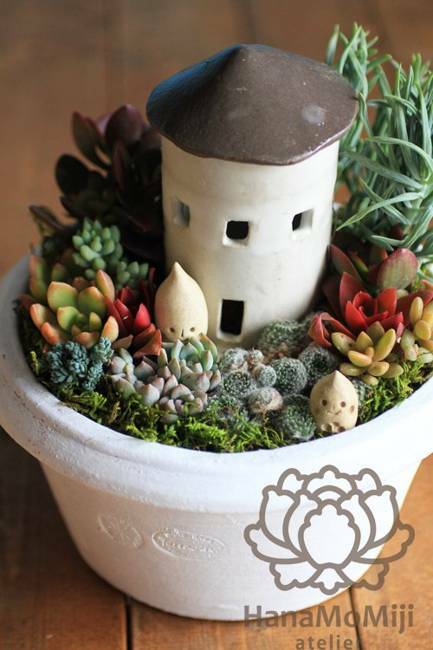 Planting a miniature succulent garden is a fun and simple activity. Growing succulents in your own tiny garden or creating unique eco friendly table decorations and centerpieces save lots of money. 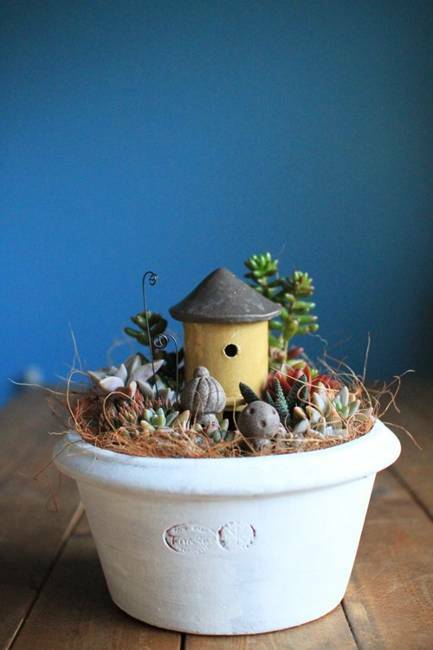 Growing succulents is something that can be done quite easily and with very few materials. It’s also simple enough for kids to grown succulents. A small garden or landscaping accents with succulents look charming and add more interest to existing backyard ideas. Table decorations and centerpiece with succulents look beautiful and stay attractive from season to season, growing into miniature and Green artworks. Succulents centerpiece ideas are a great way to decorate small spaces, add color, variety, texture and unique shapes to table decoration, beautify patio ideas and backyard designs.